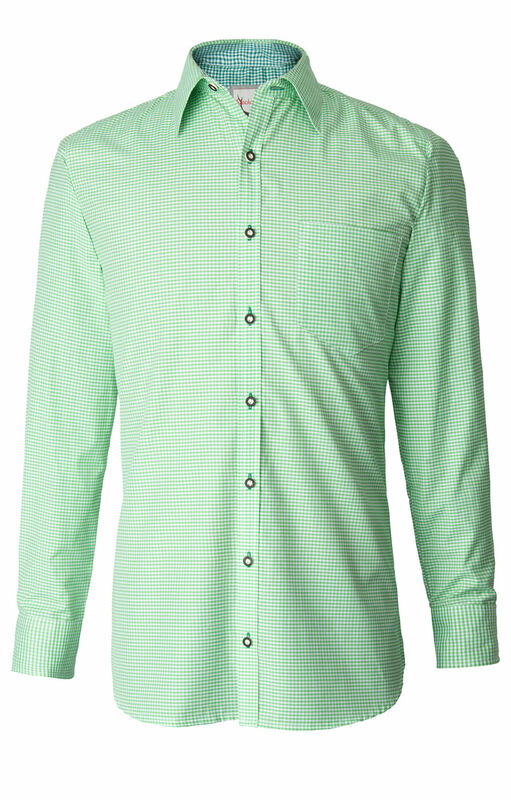 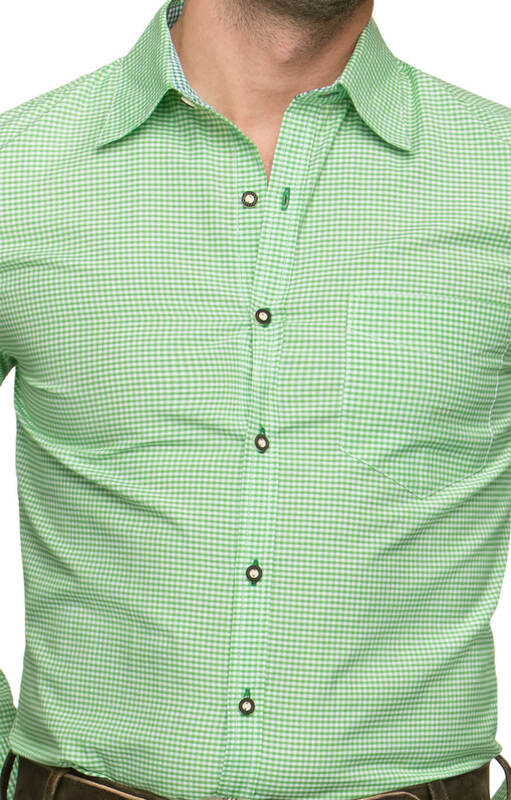 Rustic chequer long-sleeve men’s shirt in apple green. 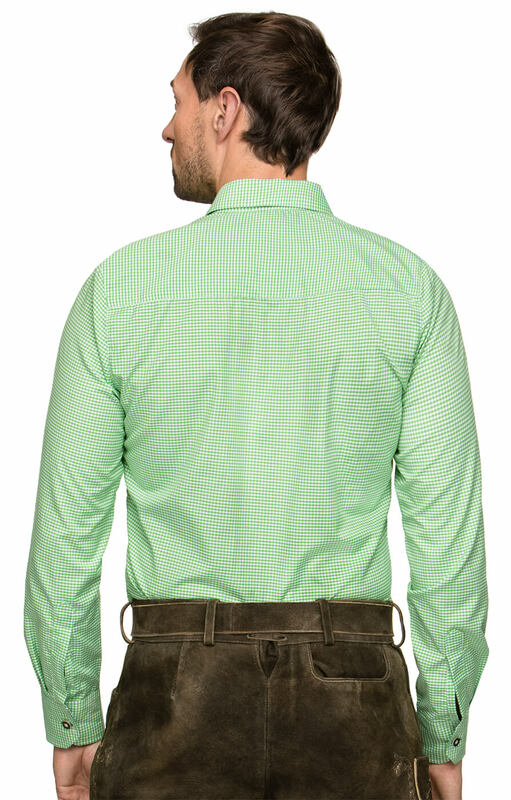 This traditional German shirt style, Dave, comes with long sleeves and apple green chequer print. 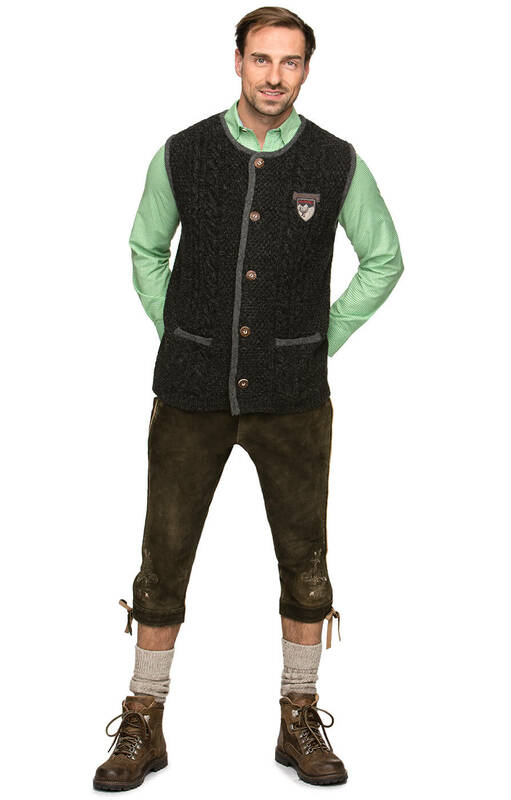 It also features a swept collar, a patch pocket on the left-hand side of the chest, a single button sleeve, and a front placket with eight deer-horn buttons, in alluring Trachten style. 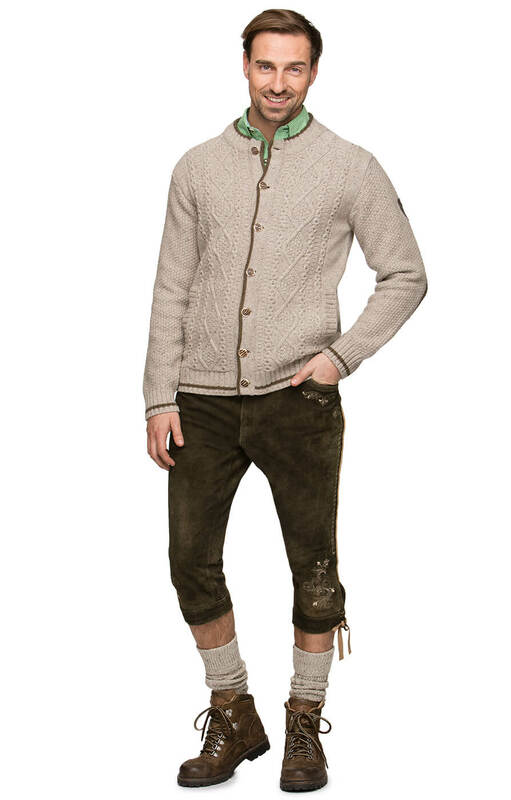 Pair it with a knitted waistcoat and leather trousers to look your best at Oktoberfest.